Aleesoft Free Blu-ray Ripper is a free Blu-ray Ripper, 100% clean (No Viruses, No Adware, No Spyware). 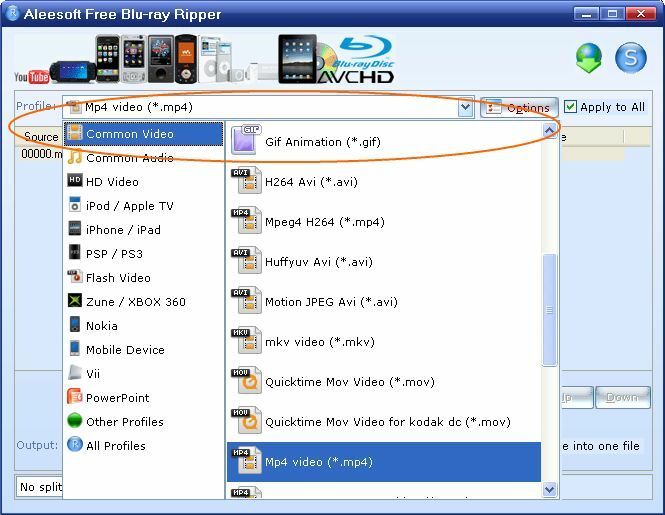 This free Blu-ray to video converter can help you rip blu-ray to video including AVI, MPG, MPEG, MP4, WMV, FLV, MKV, MOV, 3GP, SWF, ASF, MP3, WMA, AAC, WAV, OGG, FLAC, M4A, AMR, AWB, AC3, MP2, AMR, SUN AU, etc. Digital rights management (DRM) is a generic term for access control technologies that can be used by hardware manufacturers, publishers, copyright holders and individuals to impose limitations on the usage of digital content and devices. The term is used to describe any technology that inhibits uses of digital content not desired or intended by the content provider. The term does not generally refer to other forms of copy protection which can be circumvented without modifying the file or device, such as serial numbers or keyfiles. It can also refer to restrictions associated with specific instances of digital works or devices. Before rip blu ray to video, please download and install Aleesoft Free Blu-ray Ripper. Step 2: Choose output format. Click "Profile" down-down list to choose an output media format. Step 3: Convert. 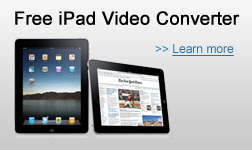 Click "Convert" to start ripping and converting blu-ray to video. After conversion completed, you can playback the conveted video file on PC, also you can transfer the converted video file to your iPad, iPhone, iPod, Apple TV, Xbox 360, Zune, PS3, PSP, Blackberry, 3GP, Flash Video, WII, Nokia, PowerPoint, Sony phone and enjoy. Now download Aleesoft Free Blu-ray Ripper and start to rip blu-ray movies.